The Tango Center closed on 6-30-2009. Thanks to everyone for everything ... keep in mind what we accomplished downtown! Stay inspired! The Tango Center on Youtube. Stay tuned to the event calendar for announcements of new dances around Eugene. 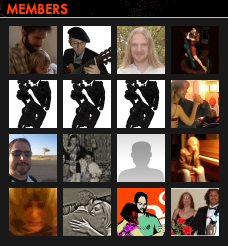 This site is a calendar for events and classes dedicated to the music and dance of Argentine Tango, in Eugene, Oregon. Come back often! It is also a celebration of the six-year run of the most extraordinarily public Tango experiment of the 21st century, (outside of Buenos Aires). Over 10,000 people were introduced to Tango through The Tango Center's Introduction to Tango from Zero class, which was every Saturday at 8pm, part of the all-ages, no partner necessary, affordable dance: The Big Milonga (Argentine Tango Social Dance). During its run, it was the largest weekly Milonga in the Northwest. It was certainly the largest Milonga in the US focused on inviting the outside world to come in and participate. It was a unique urban revitalization effort, intended to give the City a dream-like night spot, a place for the whole community, a place where the "audience" was the talent, and people learned to improvise together, through this gentle social dance. The Tango Center: A non-profit community center, dedicated to the music and dance of Argentine Tango. We are part of an alliance of people and organizations who have revitalized West Broadway in downtown Eugene. We've done everything: we even experimented with a Weekday Market.